The 2011 Bottled Water Scorecard published by EWG (Environmental Working Group) is out, and the results are, frankly, what we expected. With stunningly ambiguous labeling, and powerfully deceptive marketing, the bottled water companies continue to provide a sub standard product at extortionary prices to an uninformed public. It is not merely in our own interest to widely disseminate this information, WaterFilters.NET believes it is a public service. Why should people pay exorbitant prices for a product that fails so badly when put to the test? Even if bottled water passed the quality test, it fails the cost test so profoundly, it’s hard to imagine anyone would not feel as though they had been mugged at gunpoint after paying the cashier. In our recent article titled, “How Much Does Filtered Water Cost Per Gallon?“, WaterFilters.NET explains, in detail, the amazingly LOW cost of filtered water for both whole house and point of use filtration. Not only is home filtered water lower in cost, but according to the EWG scorecard, it is also a significantly higher quality product. Furthermore, there are the issues of plastic bottles, landfills, and waste, which should not be ignored. In summary, choosing to filter your own water at home is a healthy choice financially, physically, and perhaps even morally. 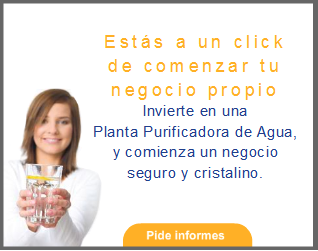 Start 2011 with a good choice and check out the vast array of water filtration options at WaterFilters.NET.